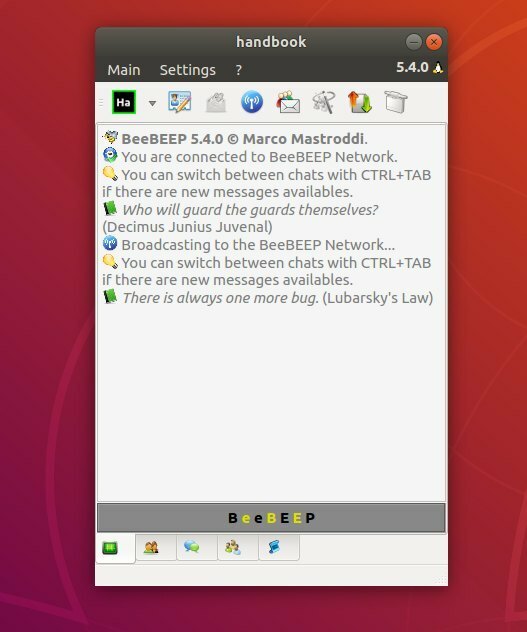 BeeBEEP is an open-source, peer to peer, lan messenger that works on Windows, Mac OS, Linux, OS/2 and eComStation. 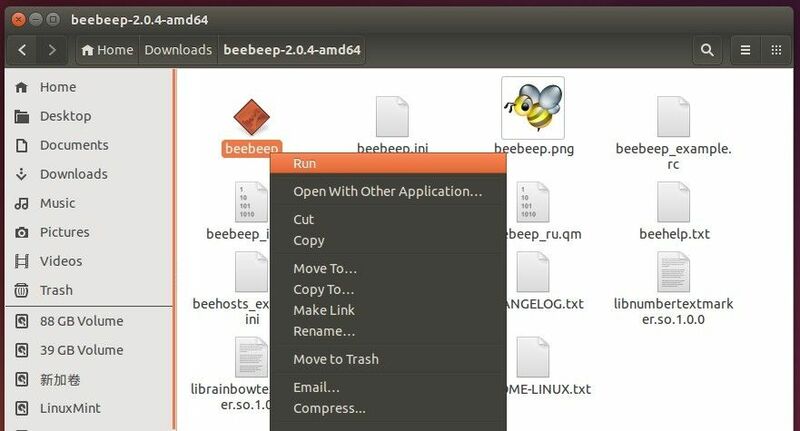 With BeeBEEP, you can talk and share files over local area network without a server. It supports offline messengers, messenger history, and messengers are encrypted based on Rijndael Algorithm. For Windows and Mac OS, the official binaries are available for download at sourceforge. 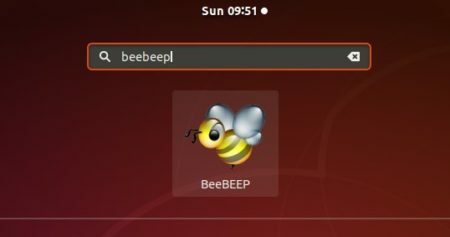 For Ubuntu 16.04, Ubuntu 18.04, the latest BeeBEEP now is available as Snap package. Simply open Ubuntu Software, search for and install beebeep. Once installed, open it from software launcher and enjoy! 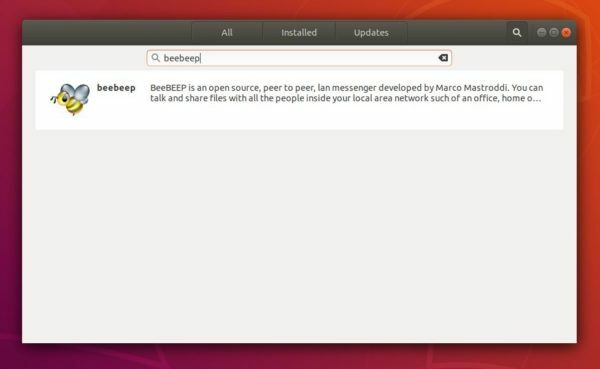 Quick tip shows how to install BeeBEEP, a secure lan messenger, in Ubuntu 14.04, Ubuntu 15.04, Ubuntu 15.10, and derivatives, e.g., Linux Mint 17.x, and Elementary OS Freya. BeeBEEP is an open source, peer to peer, and secure (encryption based on Rijndael Algorithm, AES) lan messenger. You can talk and share files with all the people inside your local area network such of an office, home or internet cafe without a server. Free and Multipe OS support: Windows, MacOSX, Linux, OS/2 and eComStation. encryption based on Rijndael Algorithm (AES). 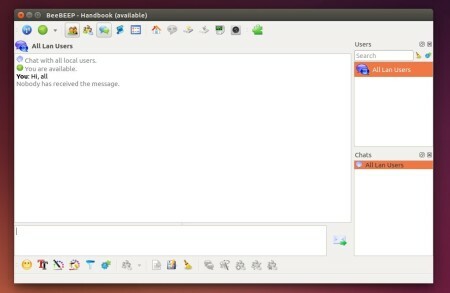 chat with all people connected, group or single user. files and folders drag and drop support. 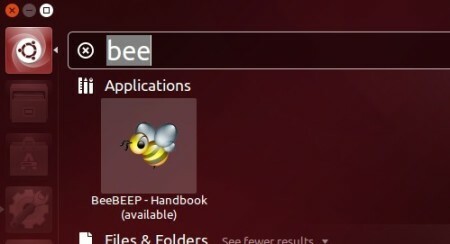 UPDATE: BeeBEEP now can be easily installed via snap, in Ubuntu 16.04 and higher simply search for and install beebeep in Ubuntu Software. 3. Extract the downloaded package and run BeeBEEP executable from the result folder. Don’t see the “Run” option? Go to File Browser menu Edit -> Preferences -> Behavior tab, check the box where it says ‘Run executable text files when they are opened’. Apply changes by nautilus -q command or just log out and back in. After running the messenger for the first time, it automatically creates a launcher for current user so that you can next time launch the software from the Dash or Application Launcher.